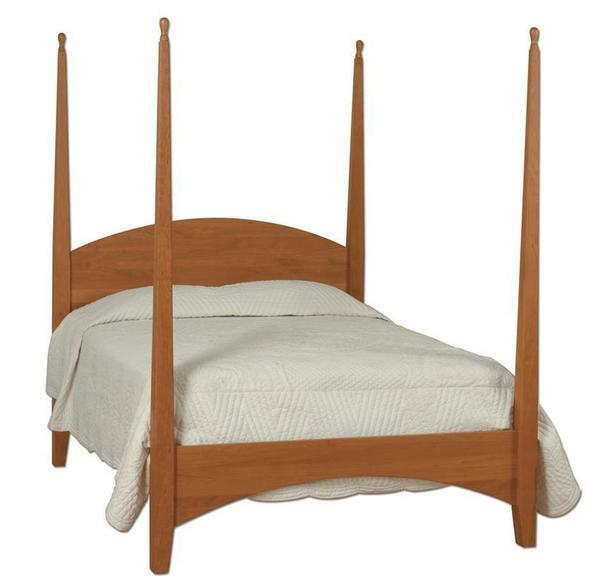 Discover the comfort and benefits of Amish bedroom furniture with our Amish Buckeye Bed. This solid wood four poster bed possesses the ability to become the centerpiece in any bedroom suite! The standard construction of this bed requires a box spring and mattress, but you have the option to add a platform so you only have to buy a mattress. The curved panel headboard, four posts, and low footboard on this Amish bed all contribute to a shaker style bed that can be enjoyed and utilized for generations!